It is 21 days until the possession date. We haven’t started our own renovations yet but there are some being done. As you can see from the first photos – the chimney looks kinda like a Jenga game (the one where you pull the blocks from the bottom of the tower and it becomes increasingly unstable…). 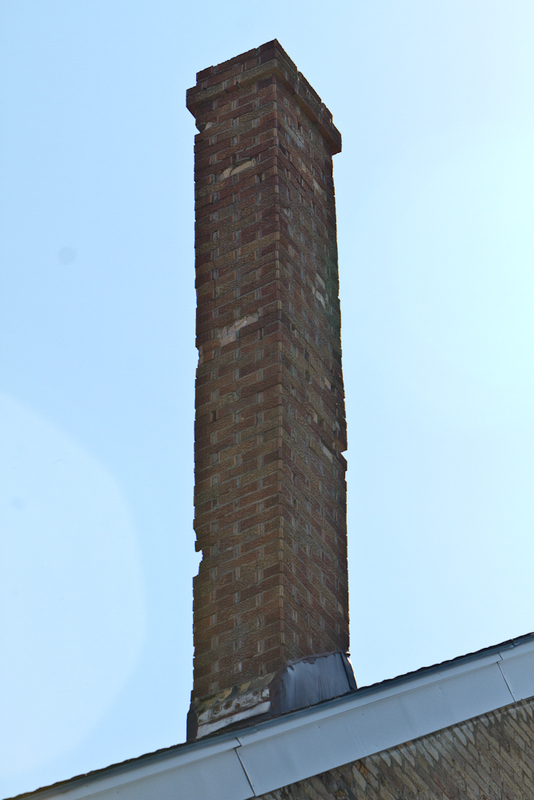 Well, they offered to remove the chimney and cap it and we thought that was a generous and excellent idea. The furnaces are not needed right now so are completely shut off and don’t need venting. 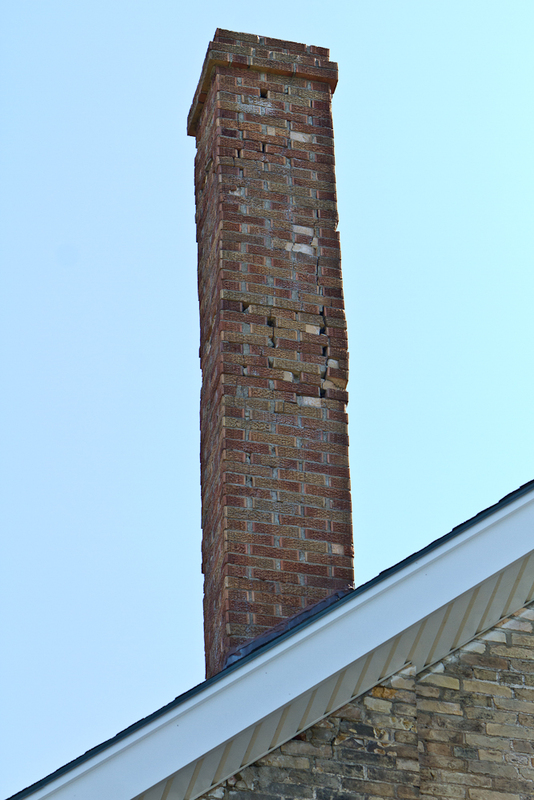 We will be replacing the furnaces within the first few days of moving in and they will be direct vent out the sides of the building making the chimney unnecessary. 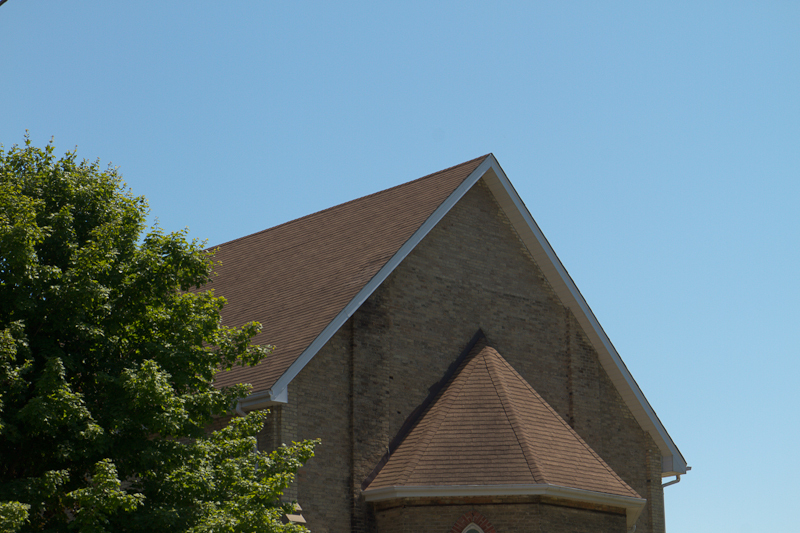 I have included a photo of the roof after the removal of the chimney.